Originally created as a Le Mans prototype to replace Porsche’s legendary GT1, the Carrera GT was a stillborn project that never got its chance to compete due to changes in FIA regulations. Porsche, however, believed that it had something special on its hands and decided to go forward and develop the platform for road use as an extreme motorcar with unparalleled features. 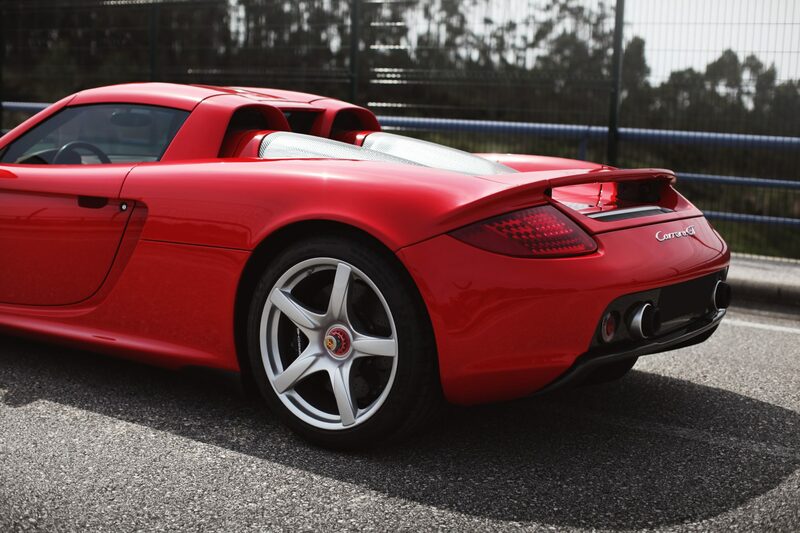 First seen in concept form at the Paris Motor Show in 2000, the Carrera GT received an tremendous amount of attention. 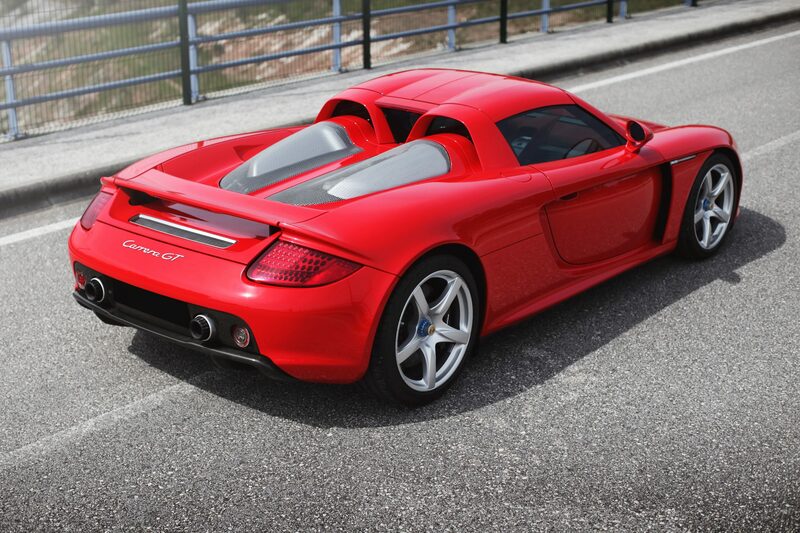 Porsche then was confident to launch the Carrera GT for production. 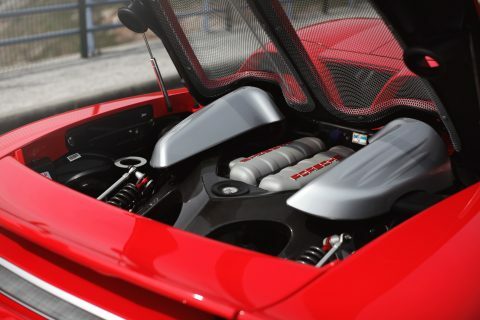 With a carbon-fibre monocoque chassis and a race-derived 5.7-liter V-10 at its heart, its competition genes were quite obvious. Ultimately, only 1,270 examples were built, of which 644 cars were sent to the US market. This would be the first V-10 engine used in a road-going Porsche, and it proved to be the defining feature of the automobile, providing the car with not only a breathtaking soundtrack but also incredible performance. 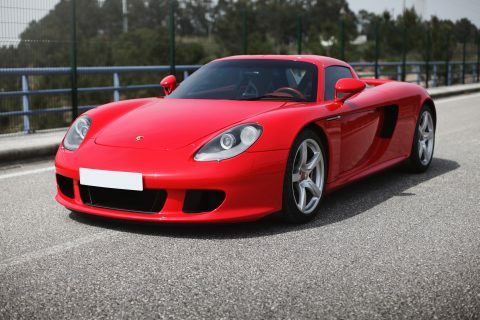 The very special Carrera GT we are offering here is chassis WPOZZZ9825L000255 and is the 862nd car out of 1,270 produced in total. It was supplied new to the Kuwait market and finished in Guards Red with Terracotta leather to the interior. The car was ordered new by His Highness Sabah Al Ahmad Al Sabah who will cover a mere 26,000 km from 2005 until 2016. Upon delivery in 2005; H.H Sabah Al Ahmad Al Sabah will have a full protective film applied on the car, therefore avoiding any stone chips or scratches and benefiting of a more comfortable use. In 2016 the car went to Europe with its second and current owner. 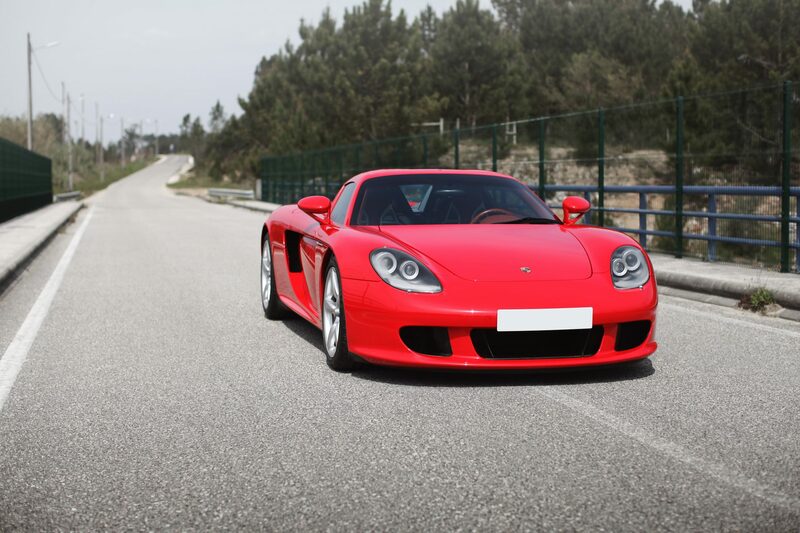 Upon its arrival in Europe in 2016, WPOZZZ9825L000255 will receive a full service at Porsche authorized dealer including a new clutch and removal of the protective film, giving the car its beautiful, bright original aspect of the Guards Red. Since then the car has received minimal mileage and shows as of today 27,300 km from new. Offered with all its original books and tools, WPOZZZ9825L000255 has never been used on tracks and benefits of a continuous Porsche dealer maintenance from new and is presented its pristine condition throughout. 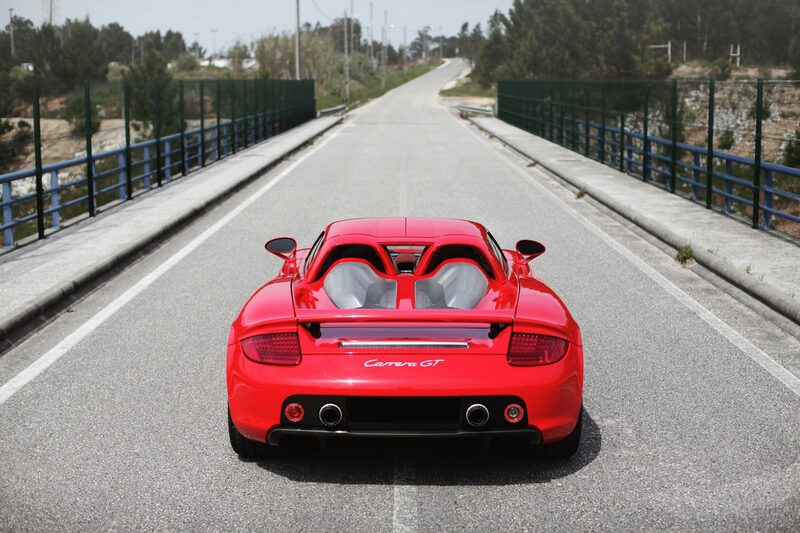 With merely 100 cars produced in the very attractive Guards Red, this example represents one of the best looking examples of the Carrera GT with impeccable maintenance.